Apple’s iOS 11.2, since its beta days, has been a slow kid when it comes to math problems. It fumbled with basic math functions which first-graders can work out faster than a calculator. Though that seems to be amended over the past updates, iOS – specifically Siri – now seems to be struggling with fourth-grade mathematics. The iOS 11.2.6 update was intended to fix the mysterious Telugu character bug and improve performance. 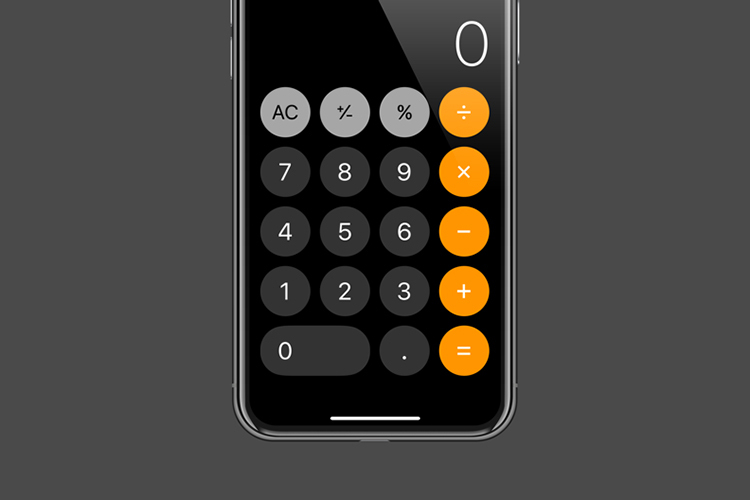 But, it brought an unexpected calculator bug which makes Apple device less reliable to math problems. 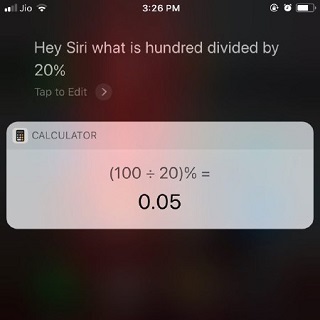 We must warn you to not depend on Siri on your iPhone or iPad to make basic calculations – especially of they involve calculation related to percentages (%). The problem persists for the Spotlight feature on macOS High Sierra. The issue of incorrect calculations was discovered by former Apple employee Ryan Jones. For this, he used the example problem: 100/20%, and received 0.05 as the answer – off by a factor of 10,000. Let us do the math for you: 100/20% means 100/0.2, the answer to which should be 500. We also tried a variety of similar problems involving percentages in the denominator and got the same disappointing results. Since the solutions are off by the same factor, we can expect this to be a single line code error in macOS and iOS 11.2.6 causing the issue. Meanwhile, another user pointed that there was no error while using spotlight on macOS Sierra. 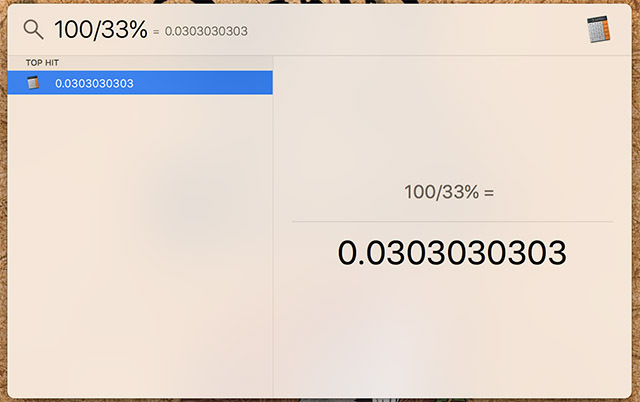 At the same time, macOS calculator refused to accept the equation while iOS calculator automatically converted 20% into 0.2, tendering the correct answer. And while Siri can be forgiven for not being able to understand the flow of a spoken equation – though Apple is currently facing a lawsuit for infringing upon Natural language patent by another company, the issue is very much present in Spotlight and needs attention from Apple. This discovery also raises suspicion about other calculation problems in macOS and iOS that might have gone overlooked. While we drench ourselves in sweat and perform these rigorous calculations for you, we would recommend you use Google search or third-party apps such as Soulver for math assignments.